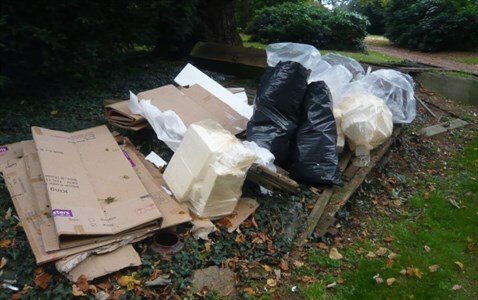 A new campaign to stop people illegally dumping their rubbish in Leicestershire has launched. The #IfOnly campaign has seen councils across the city and county join forces to warn people that they face tough action if they are caught fly-tipping. The consequences for their actions can range from a £400 fixed penalty notice to an unlimited fine, a criminal record or time in prison. The new campaign focuses on the stories of four characters – based on real people who have been caught fly-tipping in the past. The examples show that people can be caught for all sorts of reasons, from putting a fridge on the pavement to dumping bags by a local recycling bank. Blake Pain, Leicestershire County Council cabinet member for environment and transport, said: “I’m pleased that all of the Leicestershire councils are working together in partnership to tackle this issue. It’s a blight on our environment and costs tax-payers’ money to sort out. People can visit the campaign website at www.lesswaste.org.uk/flytipping and follow the campaign on social media #IfOnly.